With so much attention on non email marketing strategies that include Facebook, Twitter, LinkedIn, and other social media outlets, it's easy to question whether or not email campaigns are still effective today. Are they worth keeping as part of your marketing plan or should you focus solely on social media? Last year, there were over 2.6 billion email users worldwide. This number is expected to grow to half of the world's population by the year 2020. This year, 269 billion emails are sent per day. Gmail reported having one billion users. One study reported that 95% of professionals use email in their digital marketing mix, with social media coming in at 93%. In another study, 58% of respondents reported that email is the first place they go online every day, followed by 20% visiting a search portal, and 11% checking in on Facebook. When done right, email marketing campaigns can result in conversions. Admittedly, there are a lot of bad emails that make it into our boxes, making it important to craft an email that your recipients will open. 1) Create an enticing subject line. Avoid clickbait that promises one thing to the user who opens the email but delivers something else. Not only is this disappointing, but it creates mistrust between you and the user. 2) Include at least one image and keep in mind that recipients are skimming your content for relevancy to their interests. 3) More than ever today people are opening their emails on their phones, so make sure your email is optimized for other devices. 4) Personalize your message. We're not talking simply inserting the recipient's name in your email. That's a good idea, too, but more importantly, make sure the content is relevant to the user's interests. 5) Think about when and how often you will make contact with your customer. 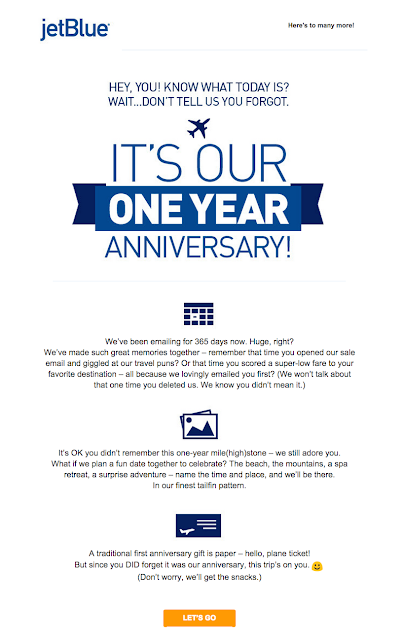 Inundating your customer with emails is only going to encourage them to hit the "unsubscribe" button. 6) Include a call to action, ask a question for a response. 7) When to send makes the difference. 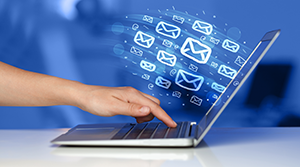 See "The Best Time To Send For Email Replies"
There are different types of email campaigns. You may be working with a list of your customers (opt-in) or from a purchased list. You will create your campaign differently based on this. You may be trying to engage suspects and convert them to prospects or customers from a purchased list such as my insurance client. The best practice would be to have a short email, usually less than two paragraphs with minimal graphics, usually just a logo. This will be formatted like a personal letter. Using personalization is the key to conversions along with short personalized subject lines, two-three words is best. Also, have a single and concise call to action such as scheduling a phone call, registering for a webinar, or visiting your website. A Rocket Fuel retargeting with artificial intelligence is ideal for this type of campaign. Additionally, we would do a split A/B test of the email and /or the conversion form to increase our success. We recently did a Rocket Fuel retargeting to recruit new insurance agency owners to attend a webinar from a purchased list of of our suspect targets. The retargeting yielded an additional 25% more sign-ups for the webinar. 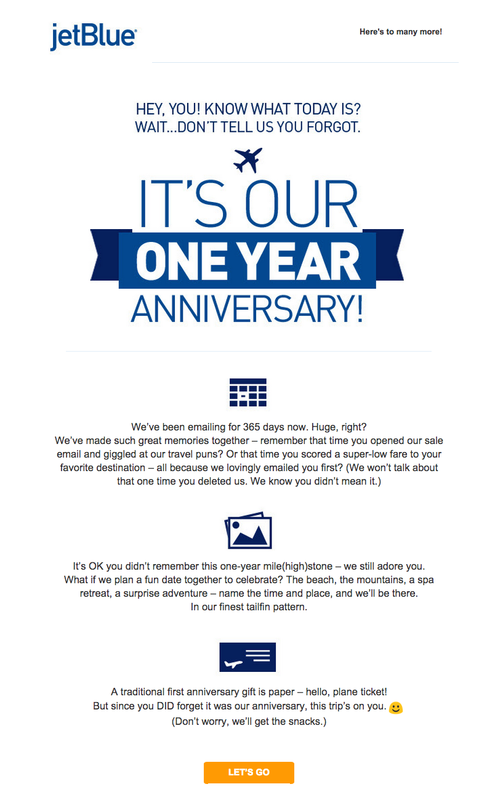 If you want an example of what a successful email message looks like from an opt-in list, check out this email from jetBlue. The copy is fun, graphics are used strategically, and features a call to action at the end. Although the recipient's name is not featured, it has a personal to feel to it. The style matches the culture of the organization. It's not an either/or situation when it comes to email marketing vs. social media marketing. The most successful companies are integrating the two to be reach and engage their customers.